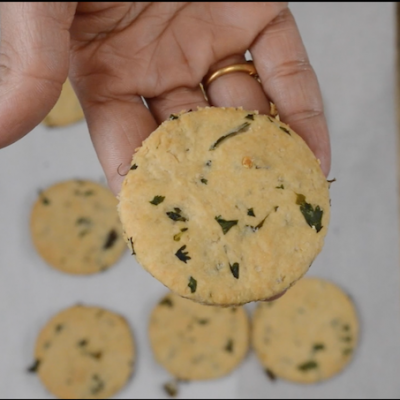 Iyengar Bakery’s many recipes are so popular and so tempting. 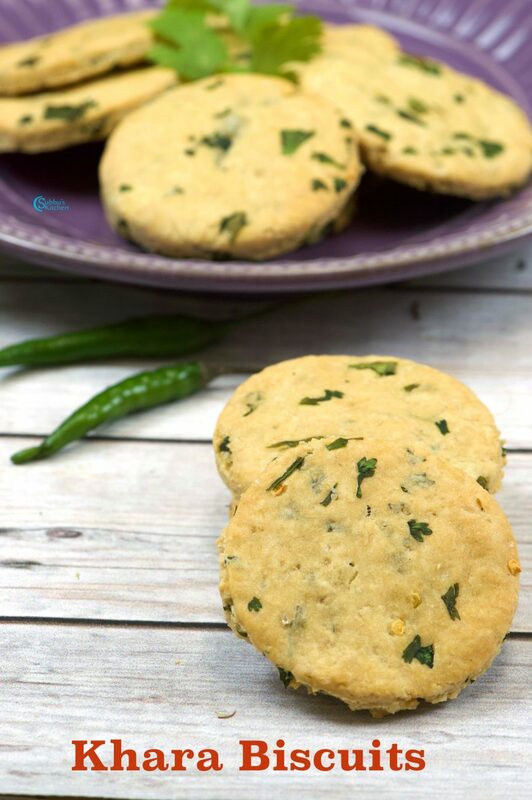 There are lots of modern bakery’s nowadays still people’s love towards Iyengar’s bakery for its authentic foods never cease. 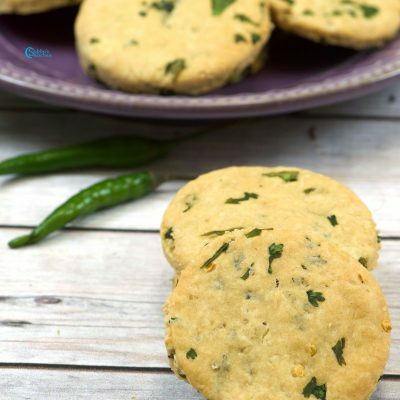 This Khara Biscuits or savoury Masala cookies are one such jewel in the crown. 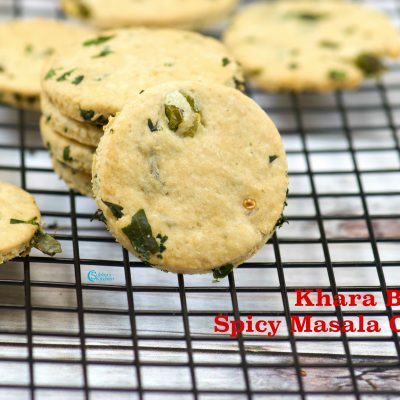 A hot cup of tea / coffee with 2 Khara Biscuits is a yummy treat for a wonderful evening. 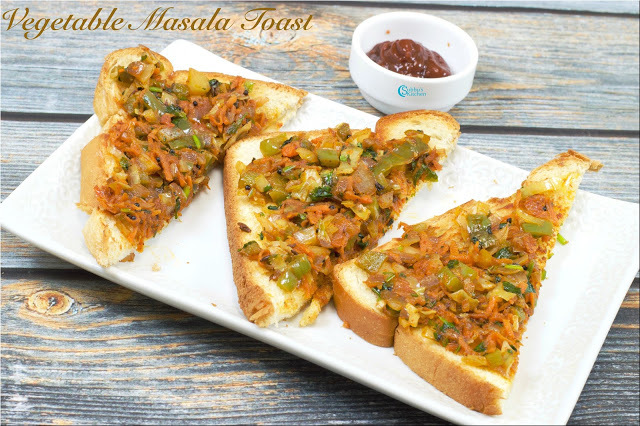 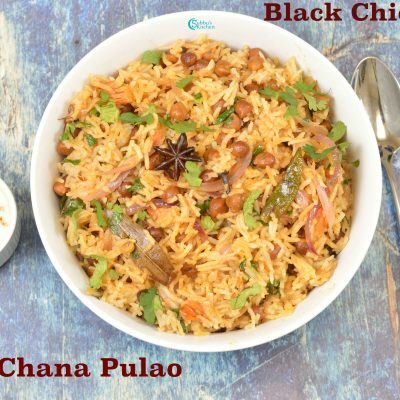 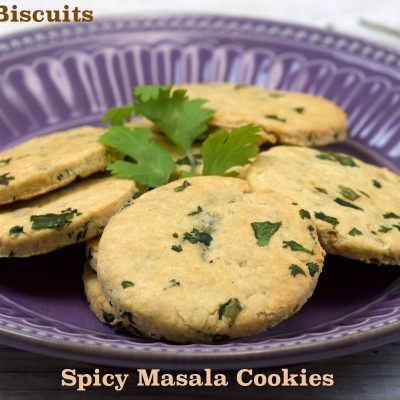 Unlike the sugary cookies, this is a savoury variety with our Indian spices. 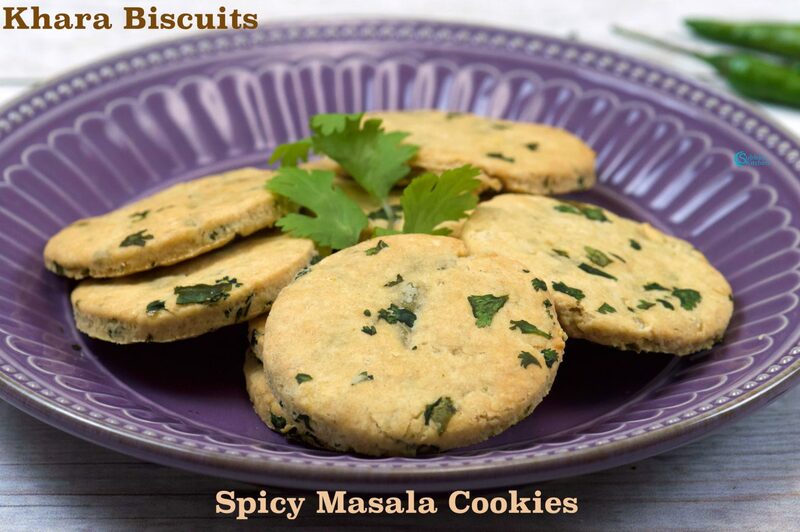 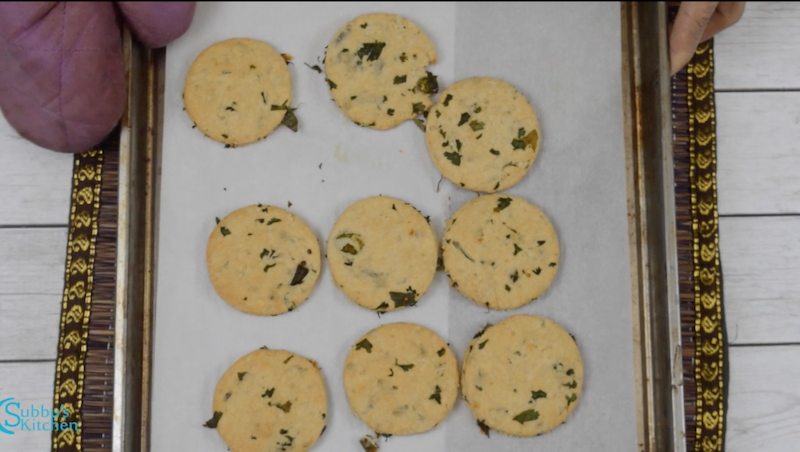 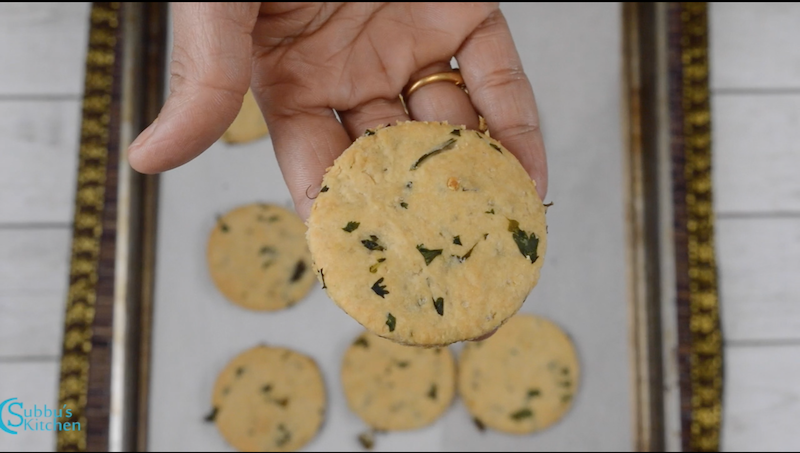 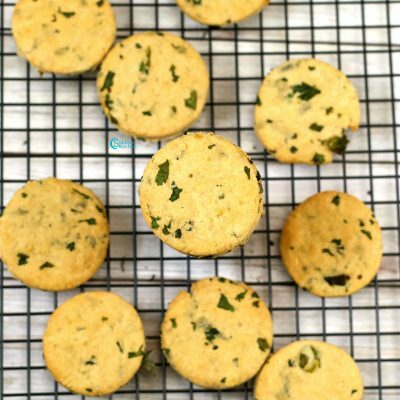 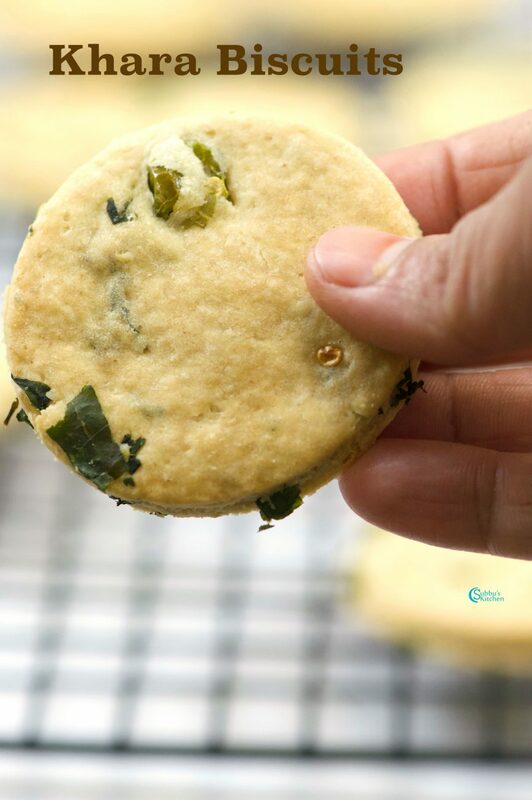 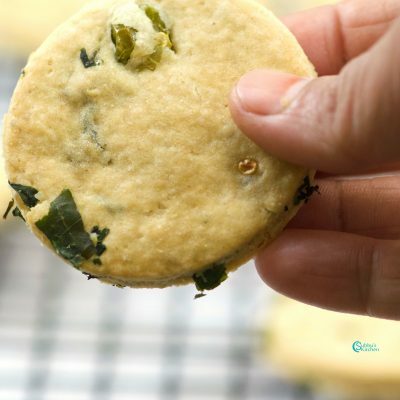 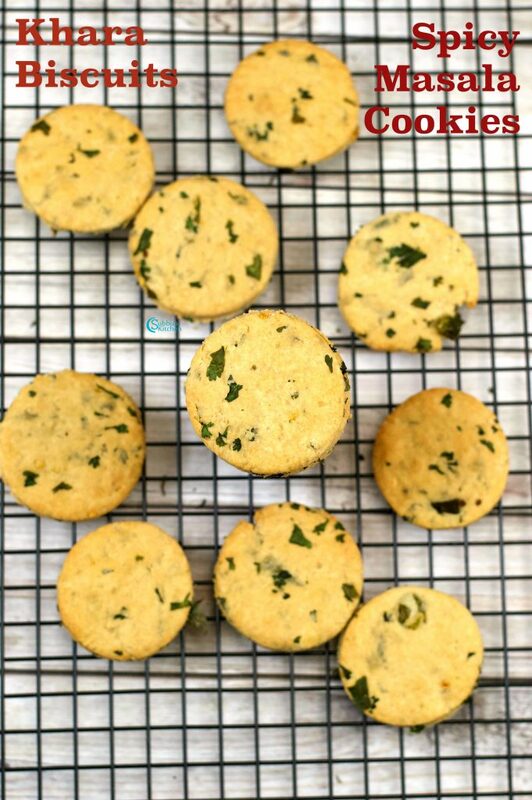 The coriander leaves adds a nice flavor to the cookies. 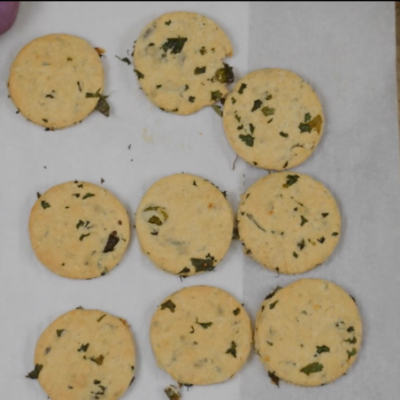 We can store Khara Biscuits in an air-tight container and biscuits will stay fresh for 3-5 days. 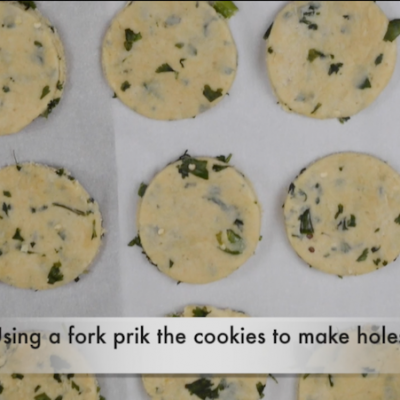 How to bake the cookies using Pressure Cooker ? 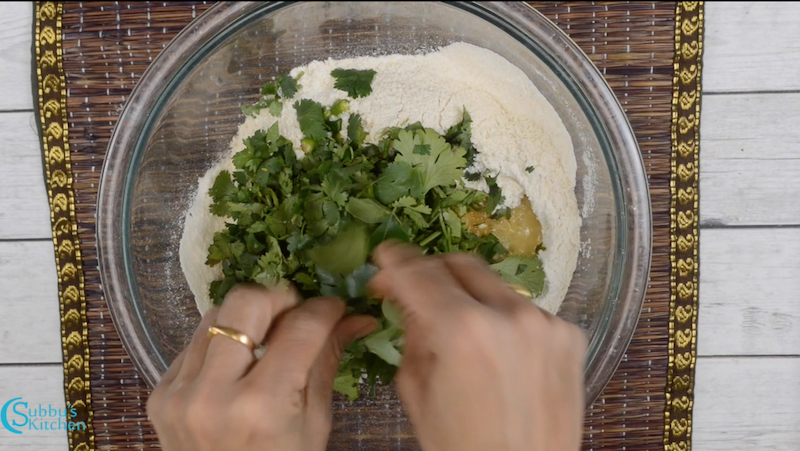 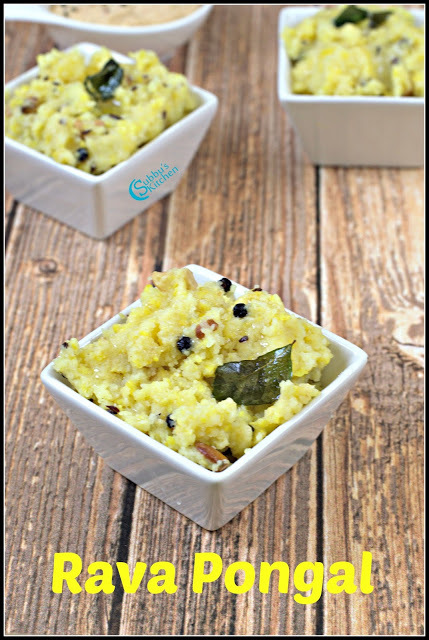 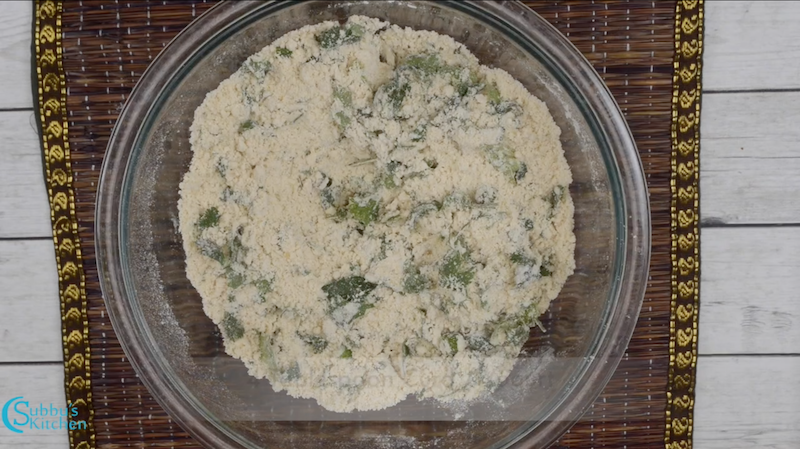 Add softened butter (butter on the room temperature), sugar, chopped green chillies, coriander leaves, curry leaves and mix everything together till the butter is nicely incorporated and the flours become like bread crumbs. 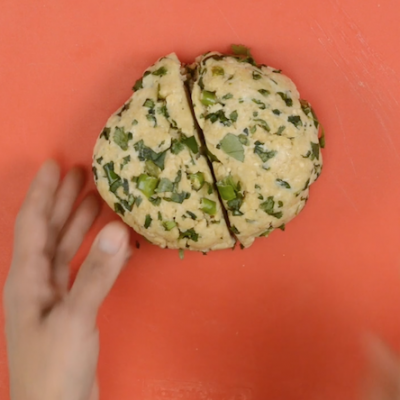 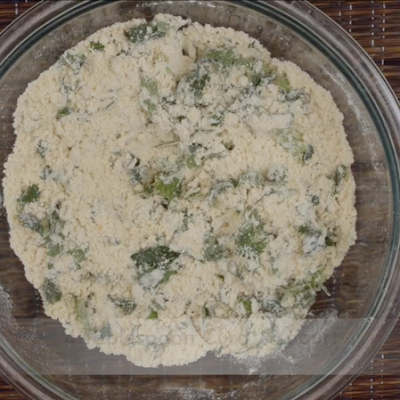 Combine all the ingredients in the bowl and slowly knead them together to a stiff dough. 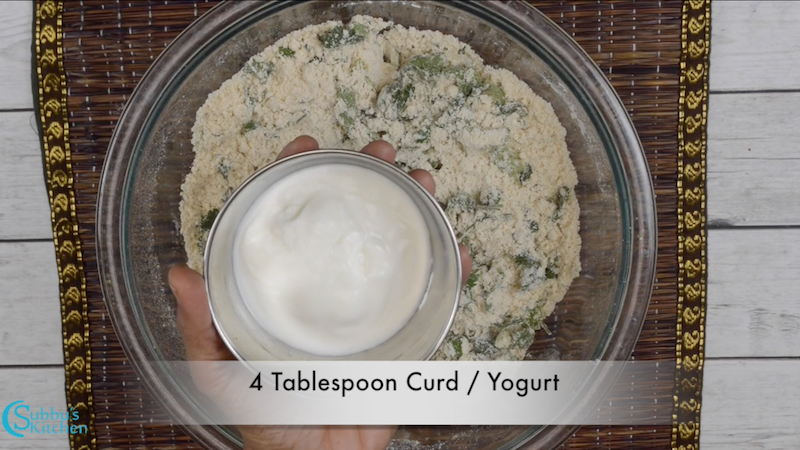 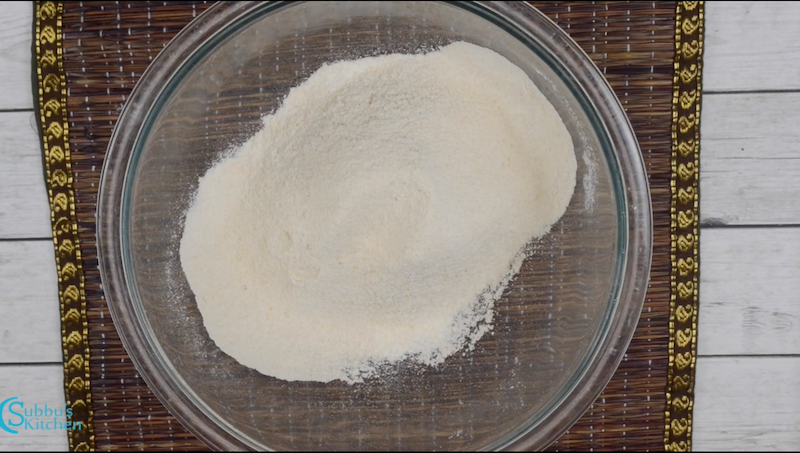 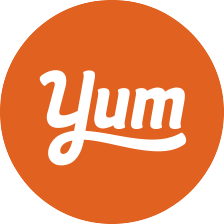 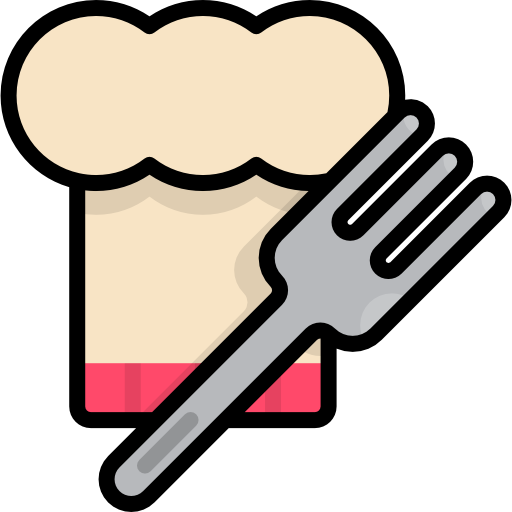 If you are not able to make a dough, we can add more curd / yogurt till we get a stiff dough. 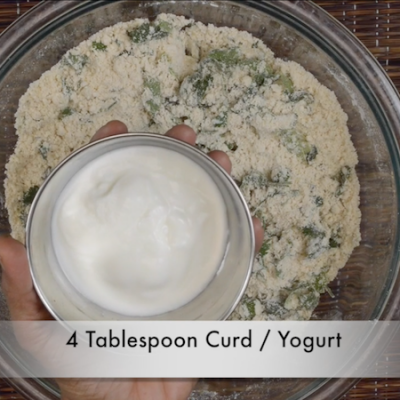 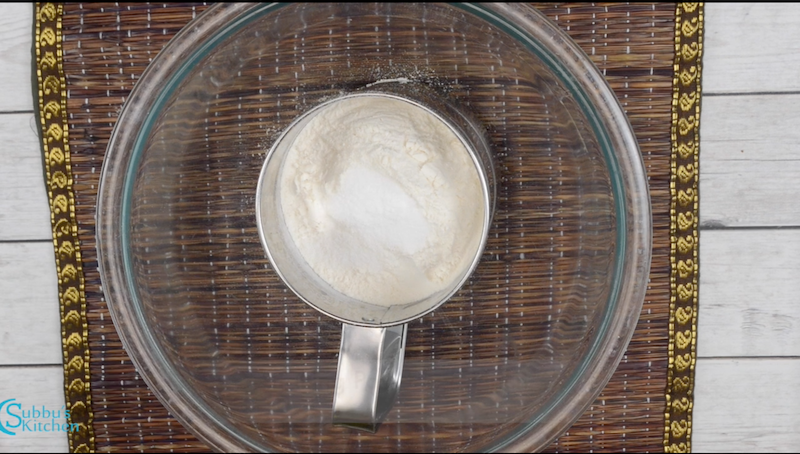 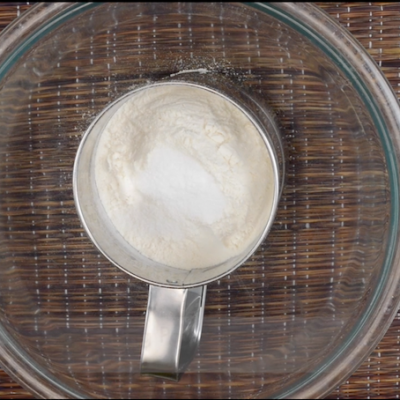 But add a teaspoon of curd at one point of time and adjust if needed. 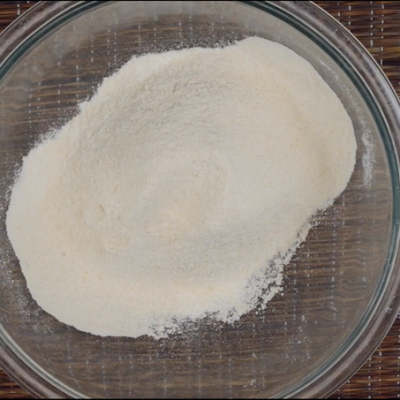 Also do not over knead the dough as it will affect the aeration process and the biscuits will become hard while baking. 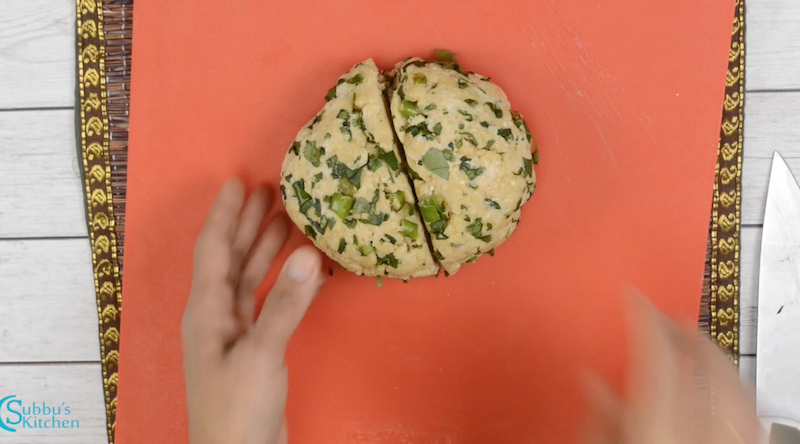 So gently knead and once you get a dough, stop the kneading process. 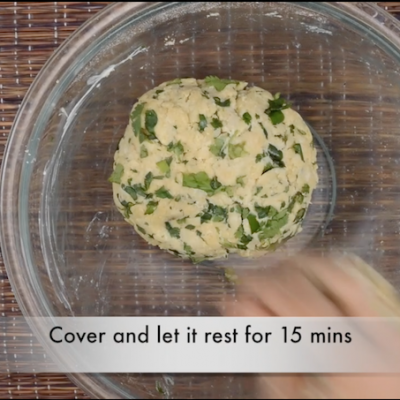 Let the dough sit for 15 mins. 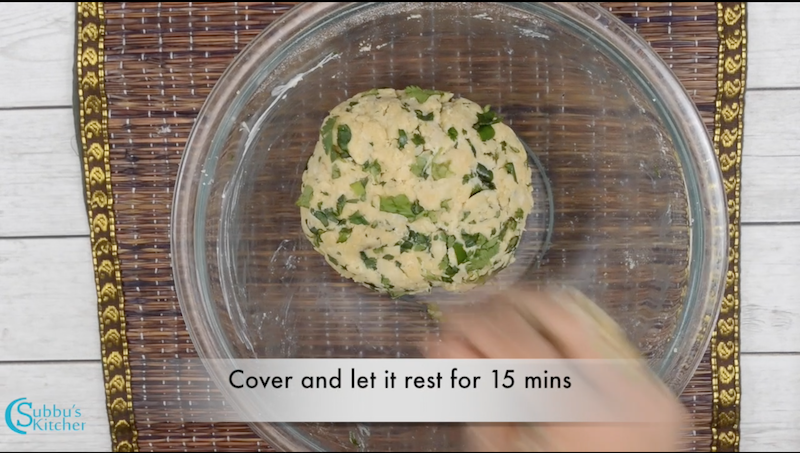 After 15 mins of resting, take the dough. 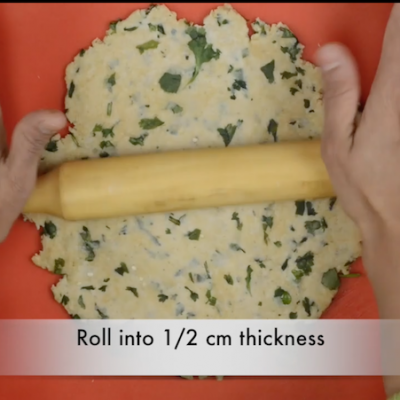 Cut into 2 portions. 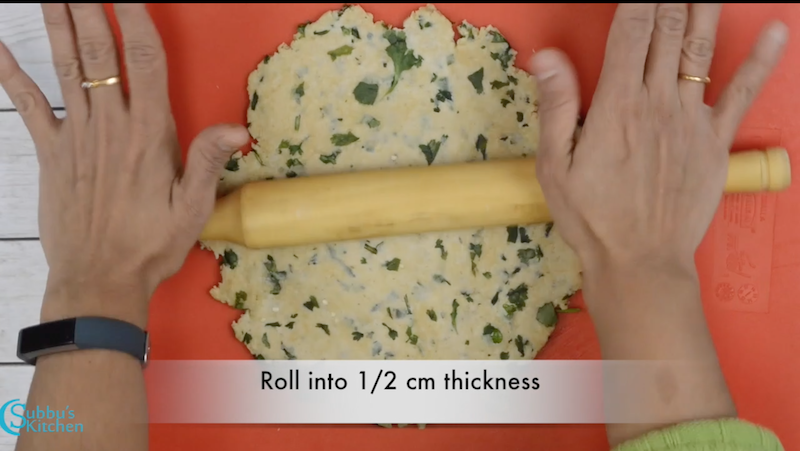 Roll each portion to 1/2 cm thickness. 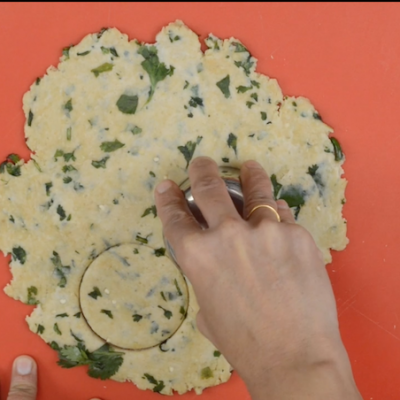 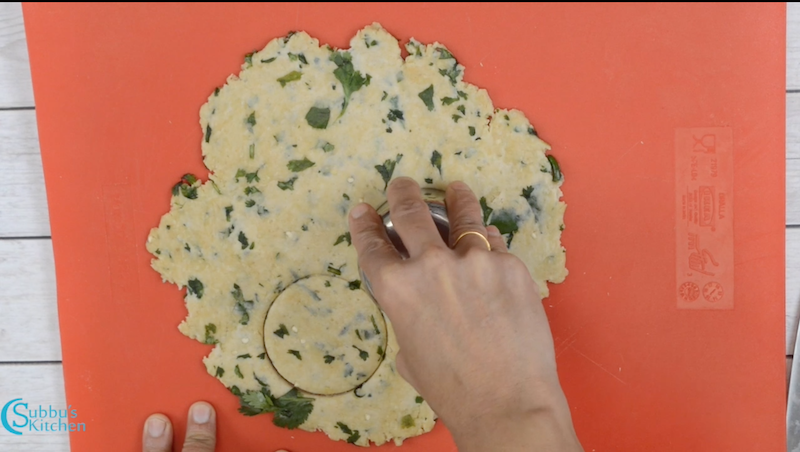 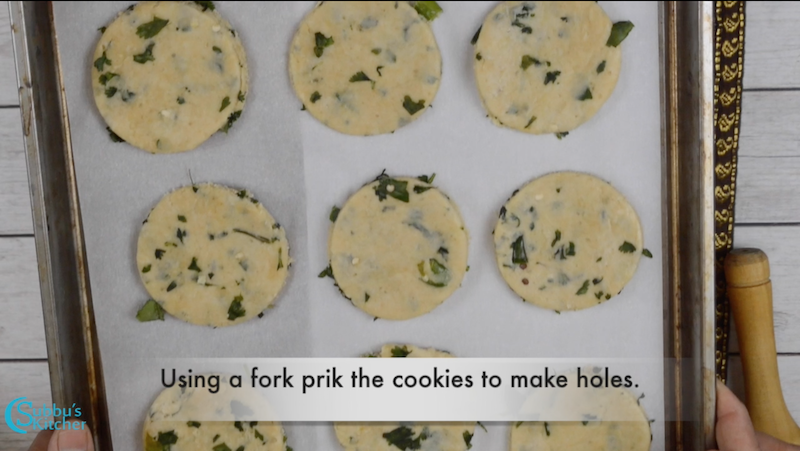 Using a cookie cutter or a sharp lid, cut out the rolled dough into round shaped cookies. 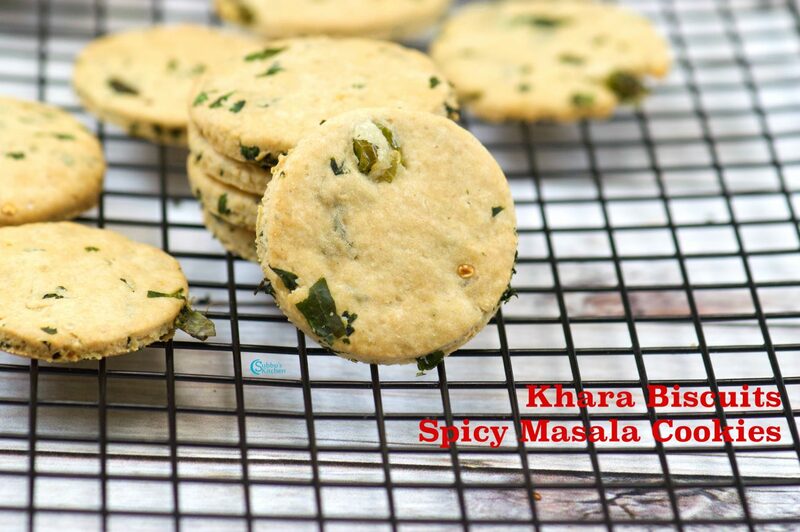 Serve the delicious Khara Biscuits with hot tea / coffee and enjoy your evening!